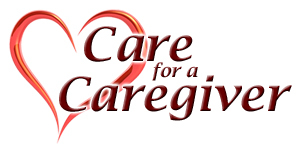 Care for a Caregiver – Coaching and support for caregivers. You love those you care for and are willing to expend countless hours, energy and expense, except when it comes to caring for yourself. You are exhausted and feel alone, like you’re drowning in your circumstances and grief. You’re trying to stay afloat, but you keep going under. I know, and I can help. I am also caregiver; and a Mom- of a beautiful daughter with special needs. My daughter was born with a rare genetic disease that causes malformations, brain hemorrhages and seizures. She is a young adult who struggles to read and write, cannot live independently and has had over 80 surgeries in her brain. My name Is Eileen Benthal. I am a Certified Professional Coach who has a special heart for offering “care for caregiver.” I have experienced first hand the emotional, psychological, spiritual and financial drain of living life as a caregiver- and I have found solutions to share. I know what is to feel like you are trying to keep your head above water while the floodwaters rise; no time to care for yourself while you feel you are drowning. Through dreams, prayerful reflection and advocacy, I have developed strategies to not only survive, but thrive in the midst of challenging circumstances. Dive in and let me teach you how to keep breathing underwater.